School days are busy with everything educators need to pack into the day. And sometimes that means physical activity is sacrificed: Recess periods are shortened or even eliminated. Gym classes are cut back. Students are encouraged to stay laser-focused on their academic tasks all day, every day. Importantly, this panel also stressed that "time taken away from lessons in favor of physical activity does not come at the cost of getting good grades." There are lots of opportunities for physical activity during the school day. First, gym class (otherwise known as physical education or PE). Many schools are transforming PE into a wellness-focused class period that aims to help kids develop lifelong healthy habits. That's great! But many other schools only offer the bare minimum of phys ed time. So we can't always count on gym class to help our kids meet their daily need for physical activity, although something is always better than nothing. What about recess? It's often a child's favorite thing about school. And research shows that taking a break during the day, even a short one, can improve student learning skills and memory. The free play that takes place during recess builds kids' social skills. 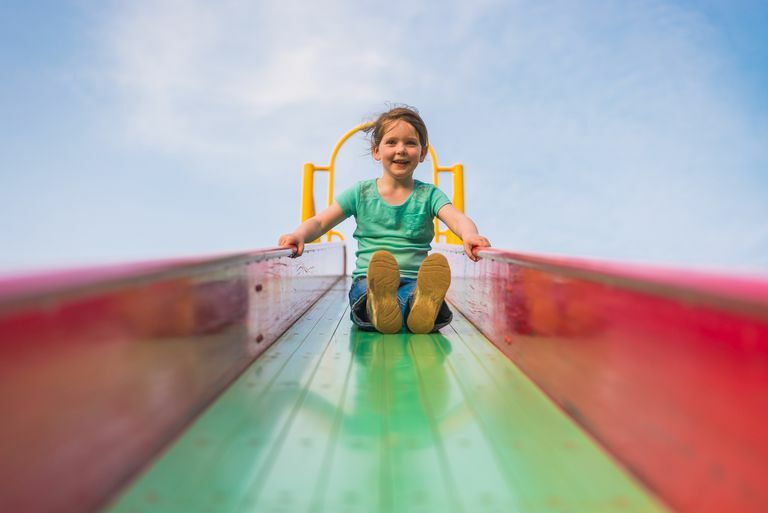 And of course, recess offers a chance for kids to add valuable physical activity to their day—maybe as many as half their daily steps in one 15-minute period. School recess can even help improve kids' behavior, so it's counter-productive when teachers take it away. For example, one study of more than 10,000 third graders showed that the kids who got at least one recess period a day (lasting 15 minutes or longer) had better classroom behavior than those who got less recess time or no recess at all. Another study found that whether recess happens indoors or out, children are "more attentive and more productive" in the classroom after recess. This is true even if students spend most of their recess time socializing. And it's true for teens as well as younger kids. Yes, physical activity can happen right in the classroom alongside academic study. A group of Dutch researchers is investigating math and spelling lessons that include physical movement. So students might, for example, jump in place eight times when eight is the answer to a math problem. Kids engage in moderate to vigorous physical activity for about 60 percent of the lesson time. Plus, they retain the information better, and spend more time on task, than kids who learn these concepts the old-fashioned way. Another way for kids to move and learn and the same time is to furnish classrooms with standing desks. There's lots of research to support the claim that these desks provide much-needed physical activity. Even though the movements they encourage are small, they still provide a calorie burn. And like other forms of physical activity, they support academic success too. Teachers can also promote better learning and behavior with quick (three to five minute) brain breaks. These mini-activities give kids a little mental reset without taking away much time from other work. Yet they still contribute to children's need for frequent physical activity and add to their cumulative daily total. Don't forget about opportunities for physical activity on the way to and from school. Walking to school (or biking, scootering, or skateboarding) gives kids all the benefits that other types of daily physical activity offer. And so does playing on the playground after school, like an extra recess, or participating in school-based activities like a running club. Some schools, especially in areas where it's difficult for kids to walk to school, offer before-school fitness programs to try to replicate some of the benefits of walking (and just add physical activity to students' school experience). If your child's school runs one, take advantage, even if it means an earlier morning for all. It's worth it. If your school doesn't offer these types of programs or isn't doing enough to promote physical activity, seek help from the wellness committee. If there is no committee, start one yourself. It's absolutely worth it for the health of your kids and their classmates. American Academy of Pediatrics Council on School Health: Policy Statement: The Crucial Role of Recess in School. Pediatrics 2013;131 (1). Bangsbo J, Krustrup P, Duda J et al. The Copenhagen Consensus Conference 2016: Children, Youth, and Physical Activity in Schools and During Leisure Time. Br J Sports Med 2016; published online first: 27 June 2016. Barros RM, Silver EJ, and Stein REK. School Recess and Group Classroom Behavior. Pediatrics. 2009;123 (2). Erwin H, Abel M, Beighle AE, Noland M, Worley B, Riggs R. The Contribution of Recess to Children's School-Day Physical Activity. J Phys Act Health 2012;9 (3). Mullender-Wijnsma MJ, Hartman E, de Greeff JW, Doolaard S, Bosker RJ, Visscher C. Physically Active Math and Language Lessons Improve Academic Achievement: A Cluster Randomized Controlled Trial. Pediatrics 2016; 137(3).